That's for the one you've got to make some mods to make fit. The one I linked to is supposed to be a drop-in. So I'm curious to see if it really is a drop-in, i.e. no chopping required. And I'm getting some conflicting info on whether the "bigger" one has the stock Porsche symbols, vs the non-Porsche symbols shown on the drop-in unit. Well, I bought one. With USPS and Canada Post combining their considerable talents, it should get here in about 3 weeks. The symbols won't be stock, but I'm getting tired of the "rising sun" and missing segments, and the price is right. Anyone interested in a full DIY? A full DIY would be useful as this seems to be a somewhat common occurence, and the alternative (new part from Porsche) is astronomical. Looks like the seller recently came out with a slightly smaller LCD just for Porsche. Dont't know anyone who has tried this version, just the original version that required modifications for the LCD to fit. The symbols in both versions are the same but, as you note, not identical to Porsche as the display is an Audi unit. Big deal. Let us know how the smaller LCD works out. Bought this unit after waiting for months for the seller to complete the Porsche specific LCD screen. Put it in this morning, simply perfect. It looks simply perfect and after doing one, I could say that I could easily do the whole job in less than 10 minutes including prep and cleaning. Just finished the install. It was pretty easy. Took less than an hour. Meerzee's right, having done it once, I could do another one in a heck of a lot less. As far as making a DYI, with the unit I bought from Circuit Solutions (eBay), the instructions were just excellent. Step by step, with clear colour pics, and perfect English. So I'm not going to bother with making another DYI. 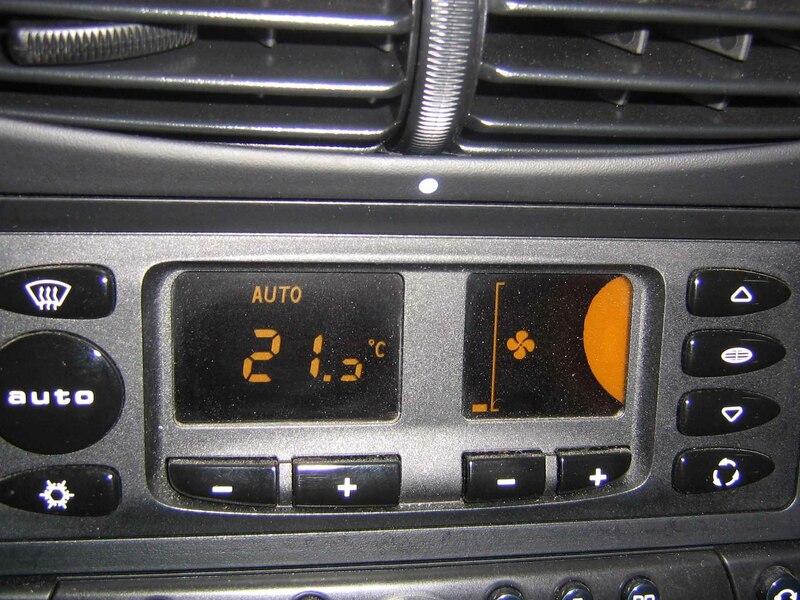 I have a 2001 986 and the climate display has just started going wrong, I extracted the unit and it's P/N 996 653 101 07. Will an earlier version of the unit work (say a '99 model P/N 996 653 101 03) or does it need to be identical P/N code? According to PET MY01 has a different part number from MY00 and earlier and MY02 and later. MY01 was also the last year of a gloss black finish. thanks for the feedback, I bought it off ebay this evening (it was closing literally minutes after I saw it) so I'm going to give it a go. On the boxster, 2001/2002 is a year specific model using the comfort CAN bus, the 2002 controller is the same as the 2001 but has matte buttons. In 2003 the it was updated for the additional CAN bus communication to the PCM/CDR23. You can use a 2003-later controller on a 2001/2002 but it will have a PCM error. You can't use a 2001/2002 on a 2000 or earlier car, but you can swap the face plates between all the models. If you want the correct model for your car, I believe I have an extra one kicking around. I installed it in my 996. The instructions that come with the unit are perfect, and it works exactly as advertised, and drops right in. About 30 min start to finish, total. (really!) The ONLY issue I would have, and it is minor, is that the full contrast is really only available if viewed straight on. Installed, wee view it from above & at an angle, so the black background is not as black as viewed straight on. Let us know how the older unit worked out, please! Fitted the earlier unit and it hasn't gone to plan! The instrument cluster does not show any sign of life now, swapped the old climate unit back and still no instrument cluster power (no lcd display or instrument readings. The car starts up fine, lights work, wipers, locks etc but no instrument cluster. I looked over all the fuses and they all seem fine. Any ideas before I resort to ringing up the main dealer? As I stated previously, the earlier and later units are not compatible. The pin connectors, while the same, have completely different assignments and only two of the 4 are used on the later controller while four are used on the earlier one. You most likely have fried something. Why ask advice if you are simply going to ignore it? Todd - I didn't catch your reply before I tried it. I looked at the fuses in closer detail by pulling the instrument cluster ones out and found that one had blown. Replaced it and all ok apart from still having the LCD problem. Did you say you had one that would work? Apparently the replacement displays are now available for the Boxster that are a drop-in, rather than requiring modification. Anyone tried one? Note the symbols in the picture aren't the same as in my stock display (2001).